Questions About Australian Mobile Consumers – Answered! Our Mobile Planet is a free to access research project created by Think With Google, commissioned by Ipsos MediaCT. From 2011 to now, its research has identified the top 6 countries worldwide that have the highest smartphone adoption rates. Not surprisingly, Australia has been identified in the top 6 nations that have not only adopted smartphones, but actively use them for consumer purchases. 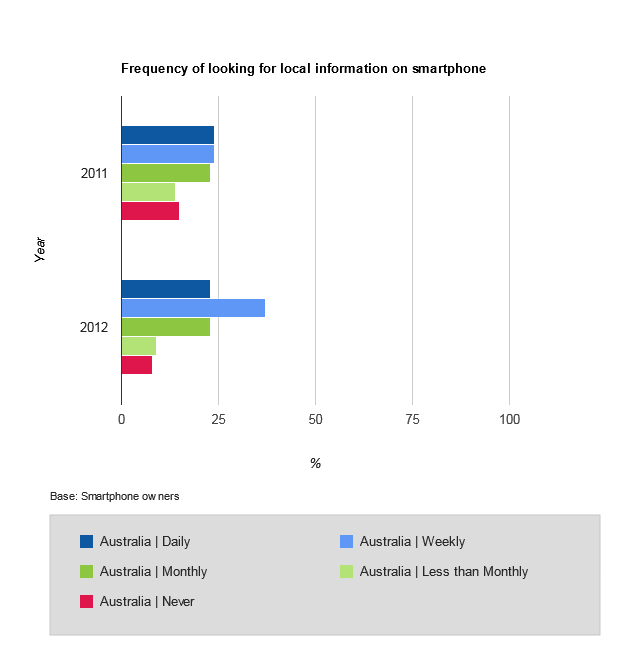 So how can Australian businesses find out more about their mobile consumers? Luckily, the hard data has been compiled in a user friendly interface that allows you to source out the research information you need to understand your consumer. 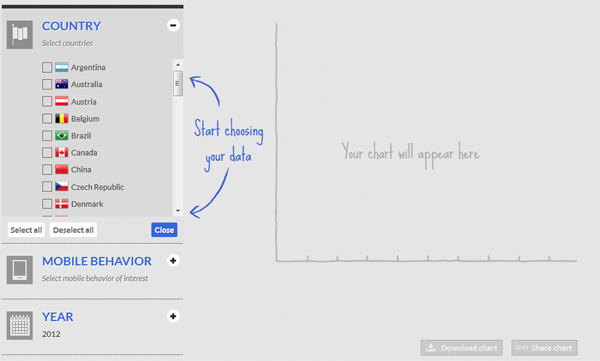 The interface also allows you to create personalised charts to help visualise the data you select. Below is an example of one chart I created to find out about mobile consumer behaviour. Say I had a small local boutique aimed at young women and wanted to find out how much of my audience used a mobile phone to find me. This will influence whether or not I should adopt mobile marketing strategies. From this information, there is an obvious increase from the previous year of 18-29yr old women using smartphones to look for local information, and an increase in overall smartphone usage. Other mobile behaviour data includes smartphone type, duration of usage, location of usage, length of time researching on smartphone devices, purchase information, and much more. If the data you find compels you to dig deeper into mobile, I also highly recommend reading How Do I Start With Mobile Marketing?